Ideal gift for all Marvel fans! Fight the rainbow! Whether you call him the Mad Titan or Grimace, there’s no denying Thanos’ power and ambition. Marvel’s conqueror of worlds will stop at nothing to save the universe from destruction by overpopulation, even if it means taking on an army of Super Heroes. 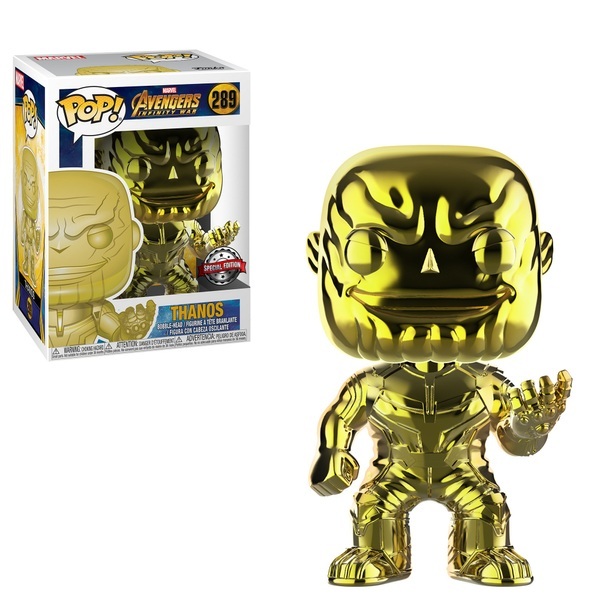 Pay homage to The Most Powerful Being in the Universe with Chrome exclusive Thanos Pop!